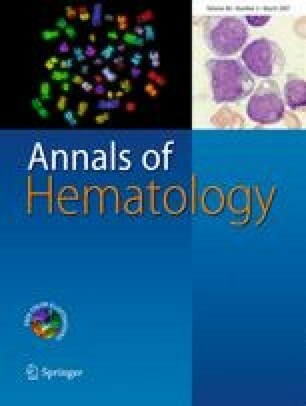 We describe 11 patients with severe refractory autoimmune cytopenias treated with the anti-CD20 monoclonal antibody rituximab. Six patients had autoimmune neutropenia (AIN), two had pure red cell aplasia (PRCA), one had AIN and autoimmune haemolytic anaemia, one had AIN and immune thrombocytopaenia purpura (ITP) and one had PRCA and ITP. Rituximab was administered at a dose of 375 mg/m2 as an intravenous infusion weekly for 4 weeks. Six of eight patients with AIN and all three patients with PRCA did not respond. Two patients died: one with resistant AIN and autoimmune haemolytic anaemia died of pneumocytis pneumonia infection, and one with PRCA and ITP died of an acute exacerbation of bronchiectasis. Rituximab in AIN and PRCA appears to be less effective than Campath-1H when compared to historical data from our group. This supports the hypothesis that T cells may be important in the pathophysiology of AIN and PRCA.